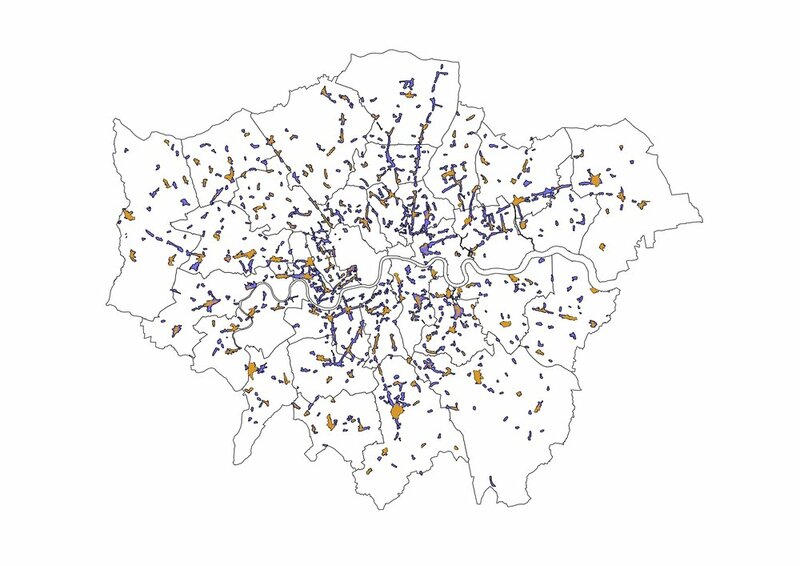 The Mayor of London and GLA have released a new report "High Streets for All". The report features some great case studies and uncovers some of the intricacies, relationships and wonder that make the high street a vital component to London's success. It also reveals that 70% of London's high streets are under threat from redevelopment, as they do not fall within areas protected by current planning designations. Good high streets supporting a vibrant mix of economic activity is key to London's growth and success. Map showing extent of London's high streets. Extracted from GLA report.